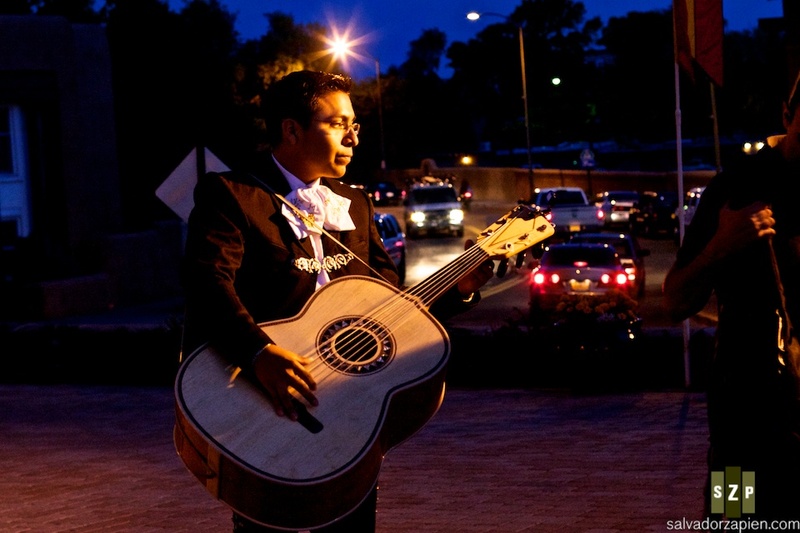 A guitarron player waits patiently for the candlelight vigil to start outside of St. Francis Cathedral, Santa Fe. 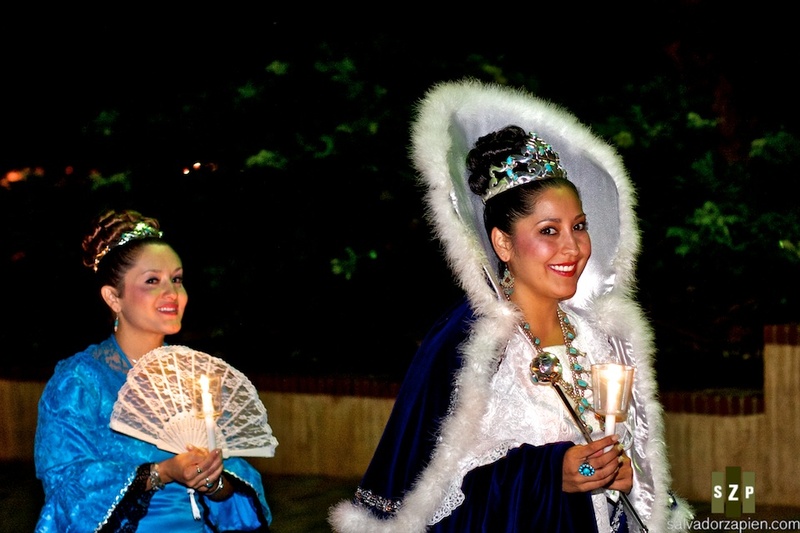 The queen of the Fiestas Santa Fe makes her way to the Cross of the Martyrs. 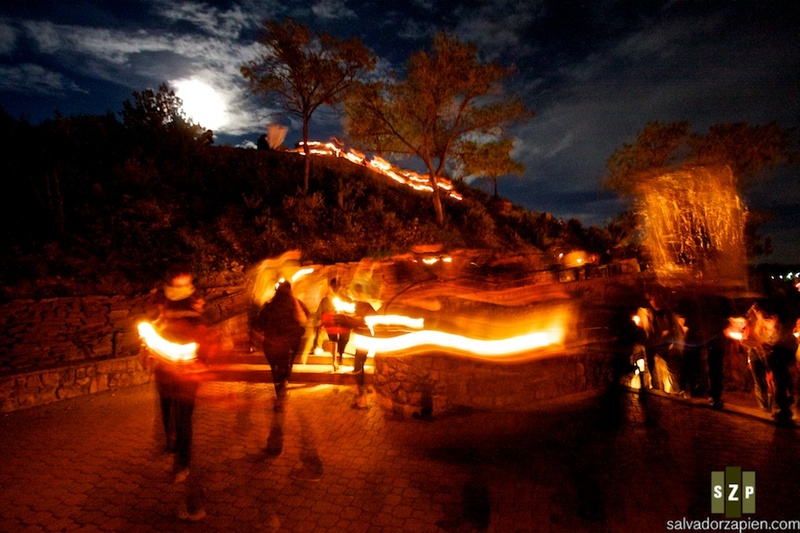 Members of the catholic community make their way down Paseo de Peralta during the closing ceremonies of the Fiestas de Santa Fe. 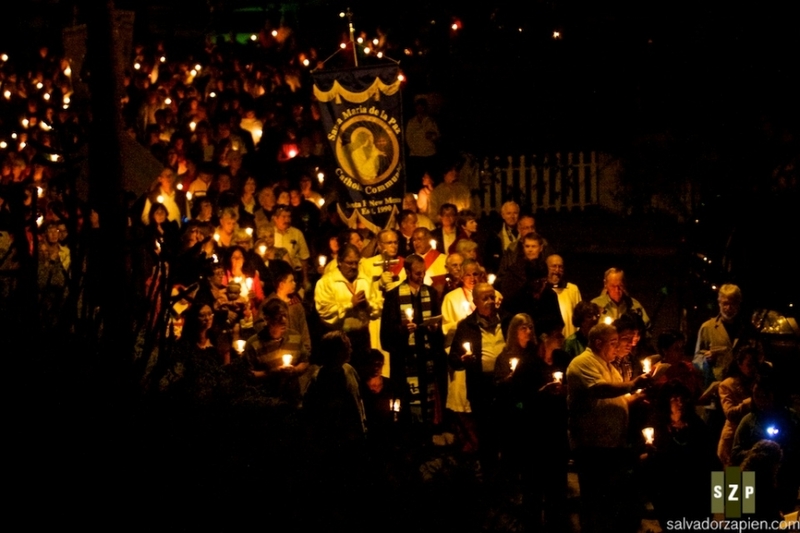 Members of the catholic community walk up the hill to the Cross of the Martyrs. 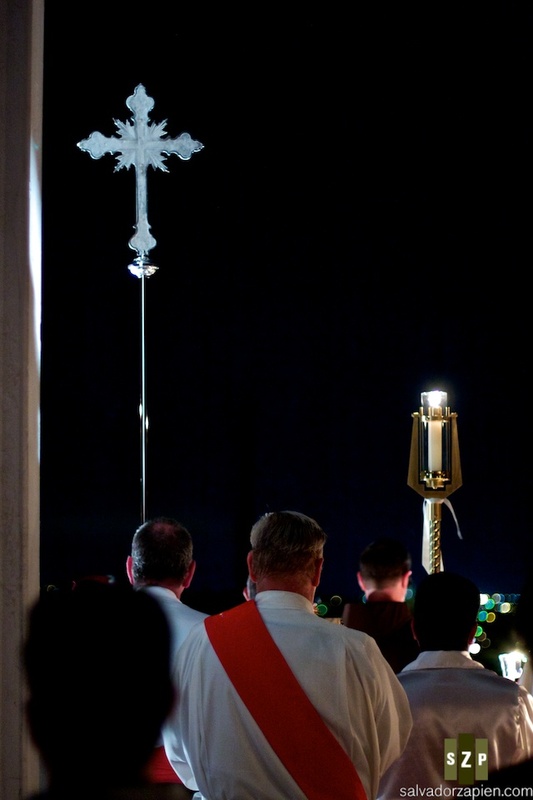 Priests lead the congregation in prayers at the Cross of the Martyr in Santa Fe. 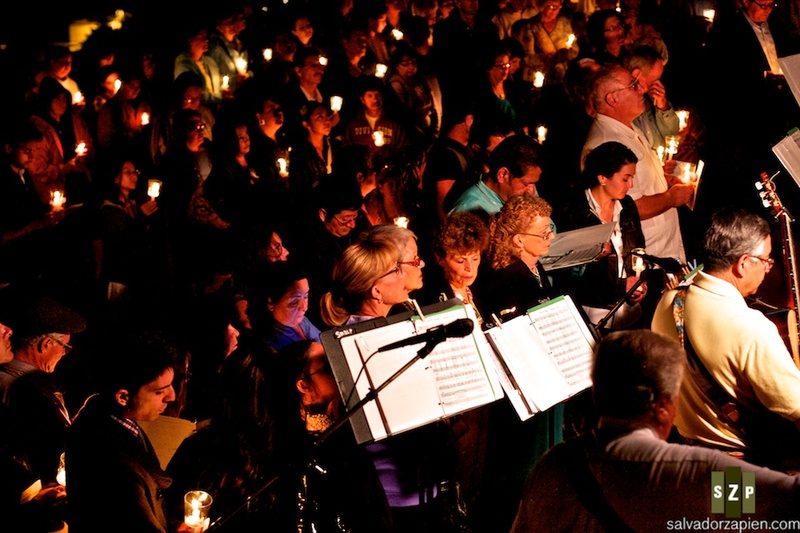 The congregation listens to a homily. 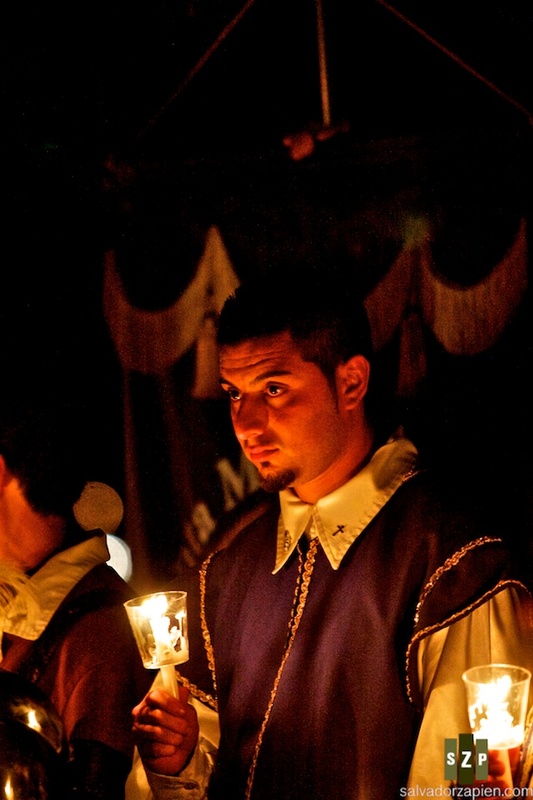 A member of the historical society, dressed in Spanish garb, listens to the homily at the Cross of the Martyrs. 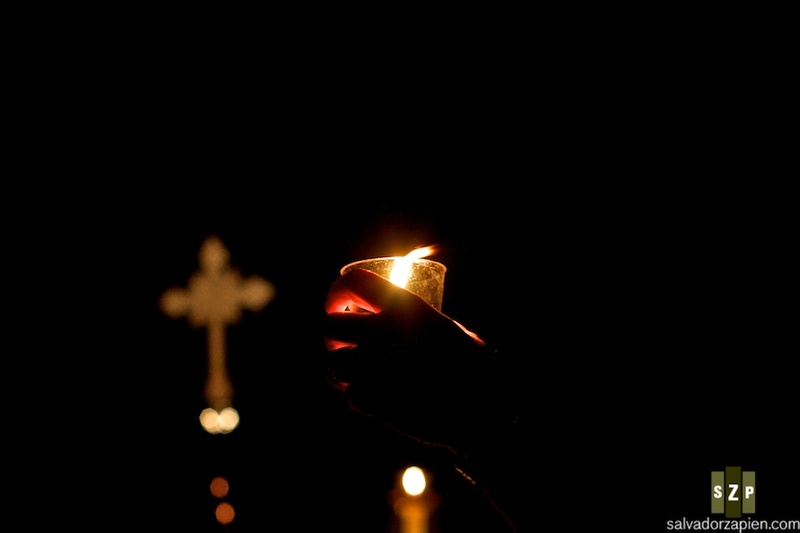 A reveler holds up a candle during prayers at the Cross of the Martyrs.